The Fashion PR Team at L.E.R. 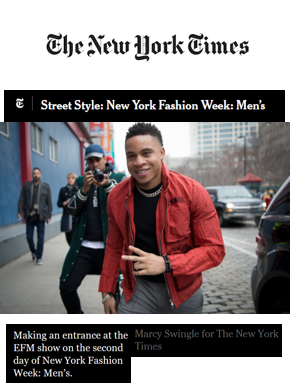 PR is happy to see EFM appear in the New York Times men’s street style recap. Rotimi was spotted wearing a red EFM jacket outside of the Fall/Winter 2018 runway show.